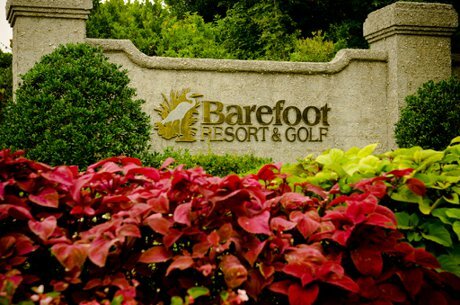 Barefoot Resort in North Myrtle Beach is the result of an inspired collaboration of four golf legends who together designed the four course master planned resort with each individual golf course bearing their names. Tom Fazio, Greg Norman, Pete Dye, and Davis Love III created this beautiful community for both golfers and water lovers with perfectly manicured rolling greens along the Intracoastal Waterway. There is a wide diversity in types of properties available including single family homes, townhomes and the luxurious Yacht Club Villas with two towers of upscale condos. This community set in the low-country marshes and wetlands is a perfect illustration of blending a community with its natural surroundings. The massive 2300 acre Barefoot Resort in North Myrtle Beach contains fourteen individual communities within its boundaries and in addition to the amenities offered by Barefoot, each also has its own pool and various amenities that differ from neighborhood to neighborhood. 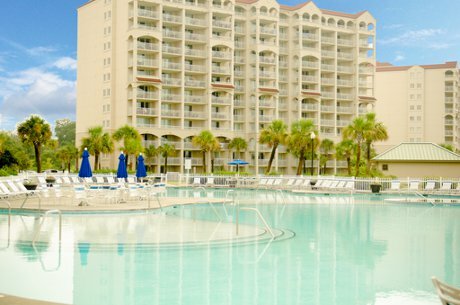 The resort also features 64 restaurants and shops, bike trails, walking paths, shuttle service to the oceanfront club with the seasonal beach service and the largest swimming pool in South Carolina! Barefoot Landing holds the numerous shops and restaurants of the development including Alabama Theatre, Ron Jons Surf Shop, Alligator Adventure, and House of Blues. With the quality of the shopping establishments as well as over 14 fine restaurants it’s no wonder that Barefoot Landing has been voted as an outstanding Myrtle Beach destination. Of particular note for golfers is Greg Norman’s Grille, an upscale fine dining establishment rated as one of the top four star restaurants in the entire Myrtle Beach area. Real Estate investors will benefit considerably from the large numbers of golf enthusiasts who flock to the area to play golf and stay at a resort that has been reported in Golf Digest in their “Best Places to Stay” ratings. The consistent inflow of golf visitors provides for regular rental income for investors who choose to rent their property and at the same time also have a second home for coastal Carolina vacations. Barefoot Resort with its diverse neighborhoods is one of the most sought after locations to live in Coastal Carolina with villas, condos, townhomes and upscale single family homes to choose from. In addition to the amenities offered in each neighborhood, residents may also opt to purchase a country club membership which gives access to the exclusive Resident’s Club, driving range, tennis courts, members bar and grill, and much more. For boaters and yachtsmen there are also areas within Barefoot that allow for the purchase of a boat slip as well as usage of the marina’s private docks. 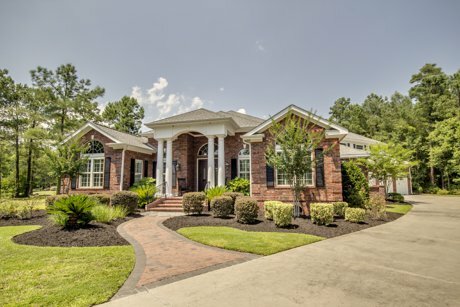 The Barefoot Resort in North Myrtle Beach has diverse choices of single-family homes as well as upscale townhome complexes with expansive villas that provide for income-producing golf rentals most of the year due to the temperate climate. Give us a call today at 843-424-6900 and let us show you the incredible beauty and upscale communities you will want to call home. We are able to show you all available Barefoot Resort homes and Barefoot Resort condos for sale. Similar communities include Grande Dunes and Prince Creek.